The Fender American Special Stratocaster and Telecaster are American-made guitars cast in the epic Fender mold. When it comes to American guitars the Fender Stratocaster and Telecaster are legendary, and through the American Special line they’re more affordable than ever. In this review we’ll take a look at Fender’s American Special Series Stratocaster and Telecaster. If you’re considering a Fender guitar you probably already know there are what seems like a million variations. From the Squier line, to the Made-in-Mexico Standards, to the American series and on to the Custom Shop models, Fender sure doesn’t make the choice easy. On the other hand, maybe they do. Through the many incarnations of the Strat and Tele, Fender has presented guitars for just about every budget, level of play and music genre. So, really, the questions is: Who are you, and what guitar is best for your needs? If you’re a guitar player who knows quality when you see and hear it, and you want an American-made Fender but can’t swing the cost, the answer to that question may be an American Special guitar. The Fender American Special Series Strat and Tele are American-made guitars with a few shortcuts that keep them around a grand. They’re reminiscent of the old Highway One Series, but today’s American Specials are a major upgrade, with the addition of Texas Special pickups and Fender’s Greasebucket Tone Circuit. Texas Specials have been an aftermarket upgrade for many Strat and Tele owners. According to Fender, the Greasebucket Circuit helps to roll off highs without adding bass. These guitars made the top of my list of best electric guitars under $1000 a while back. Though their prices have been bumped up to over a grand, I still think they are among the best bargains when it comes to Fender guitars. Here’s a closer look at these two amazing instruments. The American Standard Stratocaster is perhaps the most widely-known and well-loved guitar in the music world. Since its birth in 1954, countless musicians have squeezed amazing sounds out of the Strat, in genres as diverse as blues, country, heavy metal and jazz. 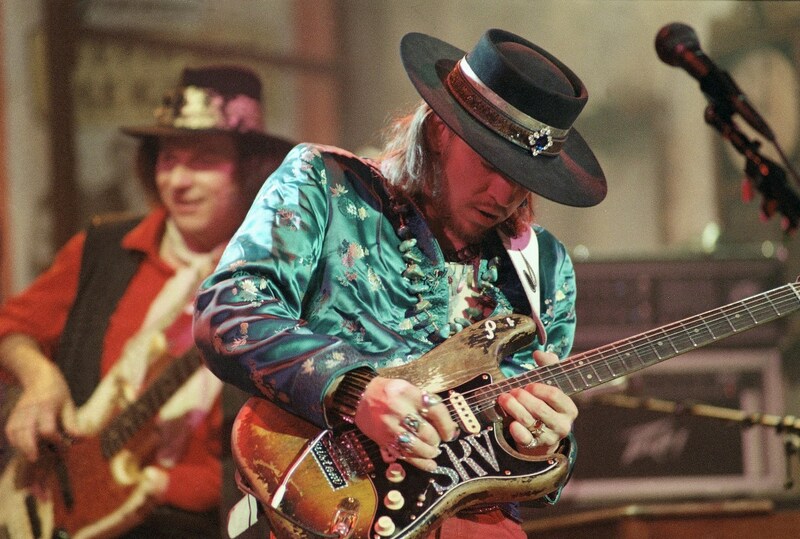 The American Strat is the object of desire for many young musicians, but there is a catch. Unfortunately, the cost of the Stratocaster has risen along with its reputation over the years, and the price tag puts the instrument out of reach for a lot of guitarists. Fender solves this problem with the Standard Strat, popularly called the MIM Stratocaster. It's a lower-budget instrument for the hobbyist, semi-professional or up-and-coming musician. 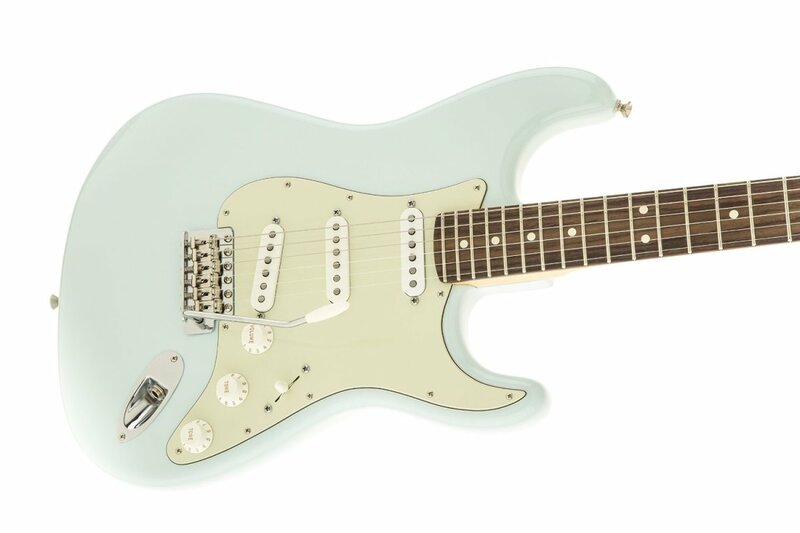 The MIM Strat looks, sounds and plays much like its American-made brother, for a fraction of the price. But if what you want is an American-made Fender, the MIM version might not quite do it for you. You need something better that the Standard Fender, but not quite as expensive as an American Strat. The American Special Stratocaster fills that void perfectly. 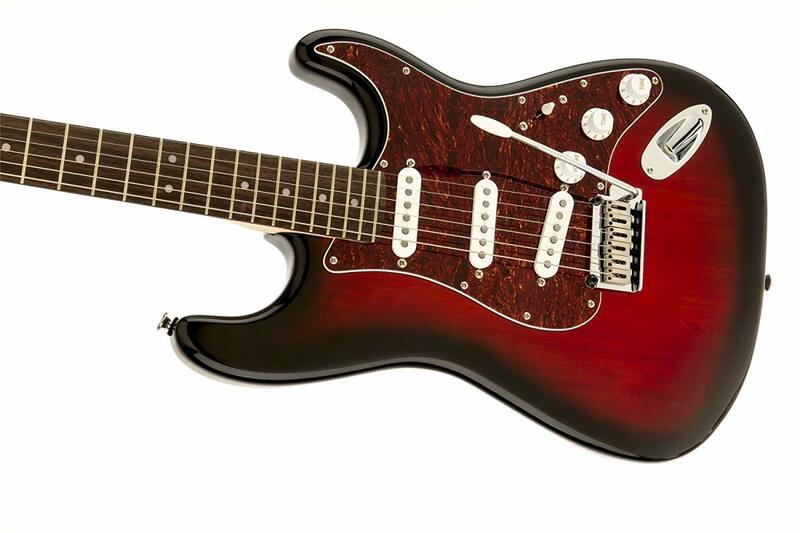 The American Special Strat has an Alder body with a slick Urethane finish. There are two versions: One with three Fender Texas Special single coil pickups, and another with a Fender Atomic Humbucker and two Texas Special single coils. Each comes with slightly different appointments. I really love the Texas Specials. I dropped a set in my Highway One Strat over a decade ago and never looked back. To me, seeing these pickups included stock is a big bonus. The SSS version comes with the a choice of a one-piece maple neck, or a maple neck with rosewood fingerboard. I do prefer maple, but it is a nice change from a few years back, when only a maple fingerboard was available on the SSS model. The difference here is one of personal preference, but maple will have a snappier sound and give the guitar a more vintage tone. The rosewood is a little warmer and complements the thickness of the humbucker. 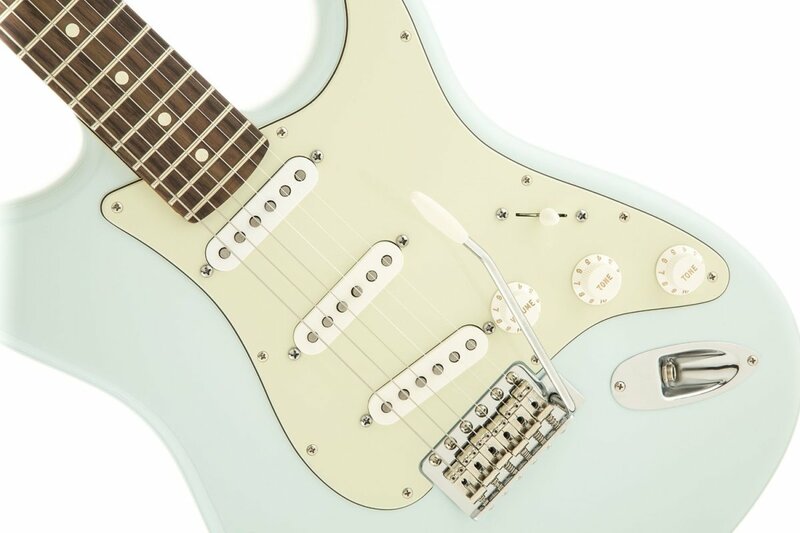 Fender’s Greasebucket Tone Circuit shapes the tone, along with standard Strat controls for volume, tone and tone and a 5-way pickup selector switch. Other features include a Vintage-style Synchronized Tremolo Bridge, cool retro oversized headstock and chrome hardware. The Telecaster is a classic Fender design that goes all the way back to the dawn of the solid-body electric guitar, and even today it is a great choice for players in almost every genre. It’s hard to beat the Tele when it comes to tone and versatility. It’s one of the most iconic designs in the history of the electric guitar, and there is good reason. The only problem is, like the American Strat, a new American Telecaster is a little expensive. Not that it wouldn’t be worth it, but if you simply can’t justify spending the extra coin you should take a look at the American Special series. If you want to grab an awesome American-made Telecaster and still keep under budget, this is the way to go! In true Tele fashion, the American Special has an alder body for that snappy Fender twang. But unlike the Mexican-made Teles that come with a thick Polyester finish, this guitar features a thin gloss Urethane. Is it a big difference? Well, it looks cool, and some tone freaks swear thinner finishes allow the wood to resonate more and therefore improve the sound of the guitar. Personally, I feel like it does make a difference, but ultimately you’ll have to decide that one for yourself! 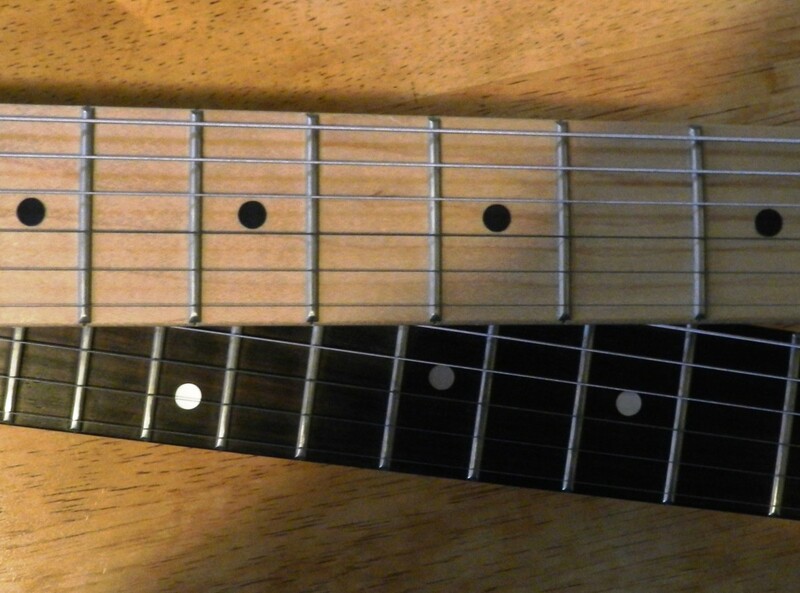 The one-piece maple neck and fretboard is easy to navigate. Many players (me included) prefer maple fretboards on Fender Telecasters, but it is nice to see this guitar available with a rosewood option. Maple will be a little brighter, but that’s what most players are looking for in a Tele. Additional Features include a 3-saddle American Vintage Style bridge, chrome hardware, 3-play pick guard. The Fender American Special Series is a great way for a player on a budget to land a real made-in-the-USA Fender. While it won’t be on par with an American Standard Stratocaster or Telecaster, it’s still a great instrument for the money. These guitars might end up as classics in their own right, but at the very least they are an outstanding middle option for players who have advanced beyond the MIM Fender lineup, but aren’t quite ready for an American Standard guitar. Guitarists expecting to upgrade their instruments will find value here as well. With such great stock pickups and electronics you may never feel the need, but the low price means you won’t feel guilty taking a screwdriver to it and swapping parts if you decide it is warranted. A guitar like this could and should last the rest of your life with the proper upkeep and repairs, so with a little TLC you could be passing it on to your grandkids. Is an American Special Series Stratocaster guitar a real American Fender? Yes and no. They’re made in the USA, but among true Fender enthusiasts the American Standard Stratocaster and Telecaster and the guitars that really count. Don’t let that discourage you, though. It’s what you think that really matters, and even many classic Fender owners have to admit the American Specials are darned good guitars. The Fender American Special Stratocaster and Telecaster are worth a look! Grab one while you can. Like the Highway One series, they may soon be gone but not forgotten. Is the American Special Series Up Your Alley? Nope. I'll save some cash and go with an MIM Fender. I already have an American Standard Fender, but I want an American Special anyway! Thanks for the review. I chose my special over the American Standards in the store because of the uniqueness of their overall sound. So for me this model was on par in this regard. Also I don't care about rolled fingerboard edges or truss rod differences....it is all about the sound. Comparing to Yamaha 112V? Had one. Sold it. I had both of these creatures once upon in a time. Today only an Am Special. Hi Roy. I have written extensively about guitars for beginners and intermediate players, including the Yamaha Pacifica and guitars from Squier by Fender. Nobody has to spend $1000 on a guitar if they don't want to, but surely you know you aren't going to get an American-made Fender for much less. Just a little over a thousand bucks? What a great affordable option! I know most young guitar players have an extra grand laying around. Or they can ask mommy to take it out of the college fund. Or they can spend $300 on a Yamaha 112V, which is a better guitar anyway, and buy an amp and effects with the other $700. I didn't see that choice on your poll, though. I have both American Standards and American Specials and find the quality to be very comparable. I think most of the price difference is due to the lack of a hardshell case and the limited finish options for American Specials. Both are pro instruments; it is mostly a matter of what features you prefer such as jumbo vs medium jumbo frets, bridge type, etc. I actually prefer the necks on the American Specials. My American Special Tele has the best neck of any of my guitars. To me, the Texas Special pickups (as on the American Special) have a harsher, more middy, more rock-oriented sound than typical Strat pickups. The difference (to me) is apparent even the sound clips above. But the question is, which do you prefer? I have a Strat with Texas Specials, and Strats with stock pickups. There are times when I prefer one over the other, depending on my mood or what I want to play. As for dropping Custom Shop pickups into an MIM Strat, of course it would make a difference. But it depends on what pickup you put it, and how discerning your ear is. The difference in these guitars has to do with more than pickups. Even the paint used can impact the tone. Again, it comes down to what you like better and whether you feel the American Special is a good deal for what you get. IMO, if you are looking for a less-expensive guitar that sounds just like an American Fender you probably aren't going to be happy with anything except an American Fender. However, you can certainly find great-sounding guitars in the American Special and MIM lineups, even if they aren't exactly like the USA version. Thanks for adding to all the BS regarding the confusing and nearly impossible task of finding out just exactly what the difference is in these guitars and how they sound. Seriously. One video had the guitar on max distortion, the other played clean rythem chords. Are you afraid if you got the same thing with all these difference guitars that no one could tell the difference? So what, then, is exactly the difference between the American Special and the American? Is there an audible difference? Can anyone pass a blind hearing test? What is the difference between the MIM with Custom Shop pickups and the American? Is there an audible difference? Can anyone pass a blind hearing test? Hi! Great review, but I was wondering what makes an American Special a lower-end guitar in compariston to the US Standard? (Except for the gig bag instead of the case). Thanks Earl! Glad you enjoyed the Hub. Hey Guitar Gopher! This was a really interesting Hub about finding a Strat or a Tele on a budget.